At the American Education Research Association annual meeting in April, Clive Beck, Clare Kosnik and members of their research team received an award from the AERA Constructivist SIG for a submission based on their longitudinal study of 40 teachers. This study, which began in 2004, has been funded by four successive SSHRC grants and will continue for at least two more years; it is one of the most extensive longitudinal studies of teachers ever conducted. 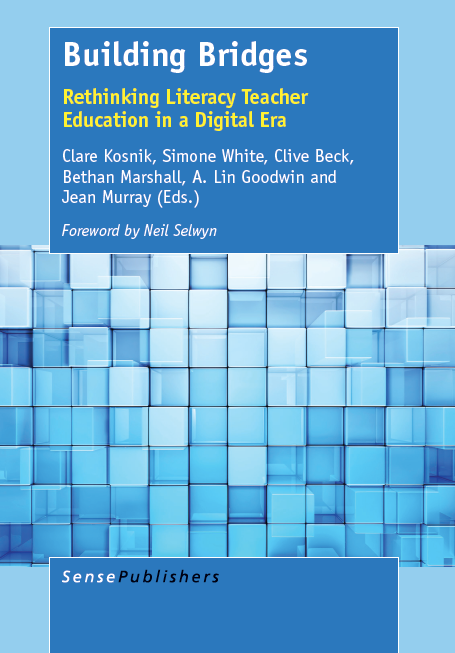 Also in April, a chapter on longitudinal research written by Clive, Clare and Elizabeth Rosales was published in the Oxford Research Encyclopedia, Education. Last week, I (Clive) talked about the connection between general way of life education and career education. I believe there is a similar link with mental health education, which Ontario teachers today are strongly encouraged to engage in. A recent Toronto Star article on mental health education noted that around twenty percent of Ontario school students have mental health problems. It then went on to claim that the life learning these students need would also greatly benefit the other eighty percent of students! From the teachers’ point of view, this insight has significant implications. 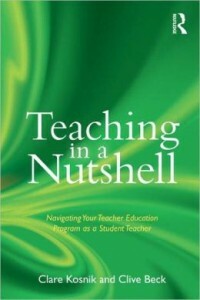 It means that instead of constantly singling out students with mental health needs – thus adding to teachers’ workload and also running the danger of labeling students, reducing their self-esteem, and undermining class community – teachers can implement way of life education in the normal course of teaching and classroom life and so help all their students. Increasing the feasibility of mental health teaching in this way is sorely needed, given the growing demands on teachers, the continuing cut-backs in special education funding, and the increasing integration of “special needs” students into mainstream classes. As Kate Phillippo says in her excellent 2015 book Advisory in Urban High Schools, there is today considerable “under-the-table expansion of teachers’ responsibilities,” especially “to provide social-emotional support” to students (p. 148). While there is a limit to how much assistance regular classroom teachers can give to students with mental health challenges, supporting all students in developing a sound approach to life can help everyone, including those with special needs. For example, students who lack motivation for school work need a better general sense of where academic achievement fits into their life, now and in the future; and students dealing with bullying would benefit from greater general understanding of when and how to stand up to other people. Along these lines, Phillippo (2015) envisages classroom teachers taking on a broad “advisory” role that includes fostering “life skills development” (p. 154) and working to promote “student wellness” in general (p. 164). I (Clive) have often proposed in our blogs that schooling should be more “relevant.” In addition to teaching subject content, we should help students develop their general approach to life (which will vary significantly from one student to another). This can be done as we teach subjects – so long as we are selective in what we spend time on and how we teach it – but also through the class community, the teacher-student relationship, and individual and whole-class projects and chats from time to time. I have recently read a wonderful book Designing Your Life (Knopf, 2016) by Stanford professors Bill Burnett and Dave Evans, in which the authors say that way of life development should go hand in hand career education. Already in school (they do not say how early) young people should be constantly exploring a range of possibilities for learning and doing, trying to figure out what things they enjoy, find fulfilling, and are good at. Then as they begin to consider more concretely what career(s) to take up, they will have a solid sense of what would fit with their way of life. 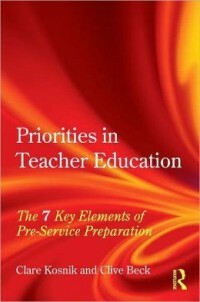 A key emphasis in the book is that it is not just a matter of choosing IT, law, engineering, etc. but what kind of IT, law, engineering, etc. Work in each field can take many different forms, and it is as much a matter of creating or designing a line of work as choosing one, and continuing to develop it further over time. For this people need a lot of information about the real world, a sense of a preferred and possible way of life, and experience in being proactive rather than passive in life situations. This can begin in earnest in school – I would argue, even in primary school. My friend Catherine Wachter is involved in this important project. Warrior Within (Twitter @warriorwithinpr) is a creative endeavour spearheaded by Catherine Wachter and Nicola Doyle. The project centres around the creation of a student-driven fictional short film (shot in July, 2016) that uses metaphor and imagery to help engage students in their understanding of stress, anxiety and how to individually develop their own resilience. This creative project also involved the student exploration of the film’s themes -stress, personal resilience and the power of social capital – through artwork, music composition, documentary film, creative writing, dance, blog writing and photography created alongside the shoot and under the guidance of mentors in the field. This short film, and all its creative facets, will go on to inspire a student-driven curriculum (in the new year, a student group will be creating the lesson plans, student exercises, discussion points, etc.) aimed at filling the dearth of creative pedagogy regarding positive mental health for youth. In May of 2017, Warrior Within will be celebrated at a gala to raise money for Jack.org, an important youth mental health initiative in Toronto. We will premiere the short film, the behind the scenes documentary and exhibit all other forms of artwork produced during the initiative. Our students will be there to share their work (process and completion) in person! …and if you can helps us spread the word @warriorwithinpr, on Facebook, etc.,) that would be amazing! 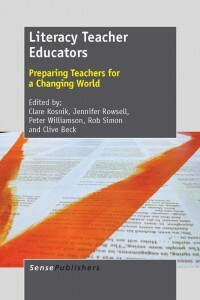 How can we make professional development more useful? I (Clare) was recently doing a Meet and Greet for our newly admitted student teachers to our Master of Arts in Child Study teacher education program. I talked about how teaching is a journey and that you never stop learning. 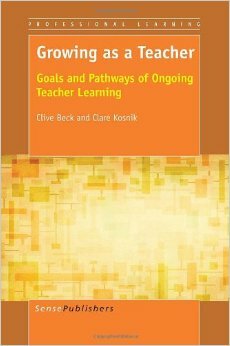 From our longitudinal study of teachers we know that teachers learn a great deal from each other and from reflecting on their teaching. I believe there is a place for formal professional development; however, many teachers (myself included) have found formal PD to be of little use. It is often so removed from daily practice, tends to be top-down, and is a one-off. Teachers need time and place for conversations about their teaching. There is a place for formal structured PD but the way it is so often delivered it is not effective. In previous blogs I have written about my teacher-researcher group which has been a very powerful form of PD because all of the teachers are working on a topic/question that is important to them. One of the students in my grad course sent me this cartoon about PD. Although I chuckled when I read it, I feel that is sums up the sentiments of many.